The Gilmore Girls actor discusses why he chose to defend a fictionalized account of the life of a woman who abandoned her children. Yanic Truesdale is a Montreal-born actor best known for playing the role of the prickly hotel concierge Michele Gerard on the hit TV show Gilmore Girls. He studied at the National Theatre School of Canada, began his television career in the long-running Canadian series He Shoots, He Scores and was nominated for a Gemini Award for his role on the Québécois sitcom Majeurs et vaccinés. Truesdale is also a Canada Reads 2019 panellist, defending Anaïs Barbeau-Lavalette's novel Suzanne, translated by Rhonda Mullins. On Jan. 31, CBC Books revealed the 2019 contenders. 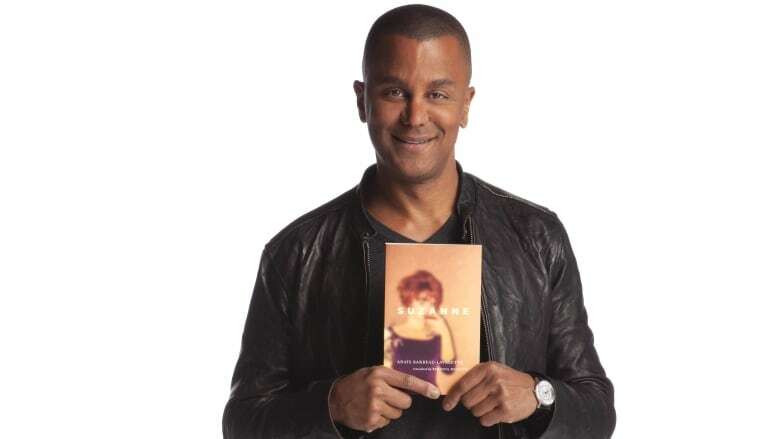 Yanic Truesdale spoke with CBC Radio's q and with Alison Brunette on Breakaway about why he chose Suzanne and why he's taking part in Canada Reads. "Suzanne is about Anaïs's real-life grandmother, who was an artist, a painter, a poet and who made the decision to leave her kids and husband behind to pursue a career in art. This was at a time when the Catholic Church pretty much told women that all they could be was a wife or a mother and that wasn't enough for her. So Anaïs started to dig into the life of this woman [Suzanne Meloche] to try to figure out who could do that — who could leave their kids behind. And the book starts out as a 'hatred letter,' but as Anaïs begins to discover who Suzanne really was, she discovers a very unusual woman for her time and she begins to feel empathy and love. And that's a very beautiful process to watch and to read." Resentment is like drinking poison, but wanting the other person to die. "What you realize by doing some work on yourself — and what Anaïs realized by doing some research — is that it never has to do with you. It's not about you; it's about them. It's not because you weren't good enough. It's not because you weren't smart enough. And when you understand that, you start having empathy and I think that's a really deep life lesson." "This book refreshed my memory when it comes to the huge impact of the Catholic Church on Quebec society — in my view, a very negative impact — especially towards women. The guilt that came with not having 20 kids. The guilt around sexuality. The guilt around financial success. Heureux les pauvres was how the expression went. You were supposed to be poor to be happy. This book does give you a very strong sense of the Quebecois cultural identity, which can be a vague thing if you don't live in Quebec. And reading how committed this group of artists was to changing the course of Quebecois art and society was something I found beautiful. Their rebuke made me want to be a courageous artist. It made me want to be bold!" Yanic Truesdale's comments have been edited and condensed.